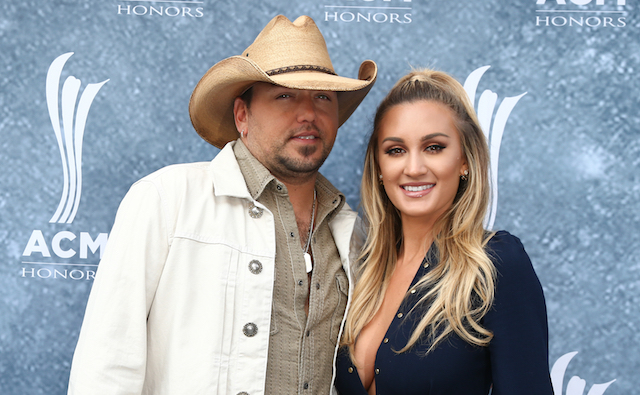 Country star Jason Aldean and his wife, Brittany Kerr Aldean, shared a sweet video of their 14-month-old son, Memphis Aldean, meeting his baby sister Navy Rome, for the first time on Tuesday. In the clip, posted on Kerr Aldean’s Instagram, Aldean, who is holding Memphis, encourages the toddler to kiss their newest family member. “See Navy? Give her sugar,” the singer says. “Give sissy some sugar.” Memphis came dressed for the occasion in a “Big Brother” shirt. Though Aldean and Kerr Aldean have their hands full, they are embracing the chaos. The couple, who tied the knot in 2015, openly struggled with infertility and turned to IVF to conceive both Memphis and Navy. Come May, the family will be hitting the road for Aldean’s 30-date “Ride All Night” tour. The bus is already to roll with two cribs!